MWC 2018 has brought to us a plethora of new smartphone and mobile launches, but that is not where the fun ends. While the Snapdragon 845 might have been the highlight of the show, being included in upcoming flagship devices, Qualcomm has just announced their new SoCs for bringing flagship features to mid-range devices. Qualcomm has announced their all-new 700 Mobile Platform Series chipsets for smartphones. With the new series, Qualcomm is introducing a new member to the Snapdragon family, making space for a sub-premium brand below the flagship 800 series, but above the current 600 series. Snapdragon aims to better bridge the gap between the existing 600 and 800 series, offering many of the latter’s premium features at a lower price point. The Snapdragon 700 Series products will come with the multi-core Qualcomm AI Engine. This is said to offer up to 2x improvements for on-device AI applications compared to the Snapdragon 660 Mobile Platform. Furthermore, the new architectures of the 700 Series – the Hexagon Vector Processor, Adreno Visual Processing subsystem, and Kryo CPU – work cooperatively to effortlessly capture and share videos, learn voice and speech. The new Snapdragon 700 series products will make optimum use of the Qualcomm Spectra ISP, thus helping you capture images easily under all sorts of lighting conditions without any major loss in detail. Additionally, OEMs will be able to incorporate professional grade camera features, supported by high-quality specs on their Snapdragon 700 SoC powered devices. Qualcomm’s new processors will be based on new architectures, including Qualcomm Spectra ISP, Kryo CPU, and Adreno Visual Processing subsystem. As compared to the Snapdragon 660 Platform, these will offer up to 30% improvements in power efficiency, and better performance and battery life across numerous applications. Not to forget that the new Snapdragon 700 series products will be compatible with Qualcomm Quick Charge 4+ technology, thus allowing the device to get up to 50% charge in only 15 minutes. 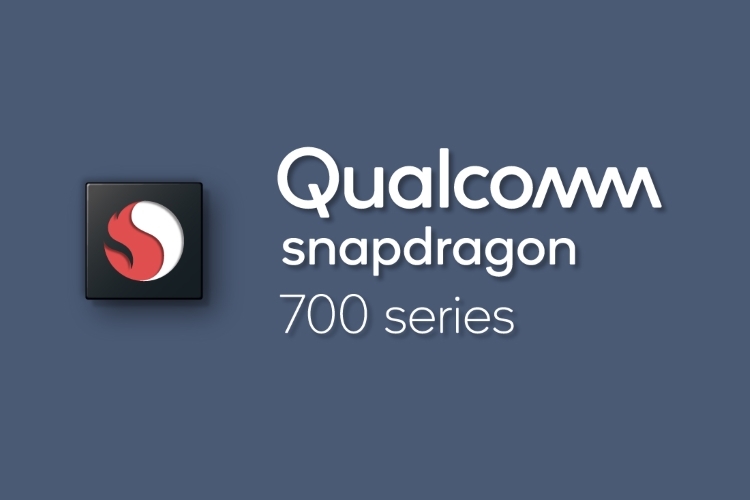 Connectivity has never been an issue for the Qualcomm’s processors, and the new 700 series is no different. The Snapdragon 700 mobile platform SoCs will feature an advanced suite of wireless technologies with ultra-fast LTE, carrier Wi-Fi features, as well as flagship features such as enhanced Bluetooth 5. The Snapdragon 700 series processors are said to be made available to Qualcomm’s partners sometime in H1 2018. As such, we expect retail smartphones with the new 700 series to debut late in 2018 or early 2019.